Car accidents are devastating events that can change a person’s life forever. While all car accidents can cause serious injury and death, auto accidents at night tend to have higher fatality rates, making them particularly dangerous. At Foley Law Firm, our experienced team of attorneys can handle cases involving auto accidents at night. Contact our Scranton, PA office to schedule a time to have one of our attorneys review your car accident case. There are many reasons why drivers are more likely to get in a car accident at night. The most obvious is reduced visibility when the sun goes down. The darkness can make it more difficult to judge distances and see obstacles in the road. Drowsy driving is also more likely at night. Drowsy driving is a dangerous driving habit that significantly increases the risk of auto accidents late at night and early in the morning. In addition, studies have shown that there are other factors that make auto accidents especially dangerous at night. Drivers and passengers are less likely to wear safety restraints, more likely to drive under the influence of alcohol, and more likely to speed at night. According to the Passenger Vehicle Occupant Fatalities by Day and Night - A Contrast report from the National Highway Traffic Safety Administration, 49 percent of fatal crashes happen at night; the fatality rate per mile of travel at night is about three times as high as daylight hours. The report includes specific statistics on the factors that increase the risk of fatalities during auto accidents at night. Safety restraints: Of those killed at night, 64 percent weren’t wearing safety restraints. In comparison, during the day, the percentage of unrestrained fatalities was 47 percent. Driving under the influence: Alcohol was a factor in more fatal crashes at night. During the day, 18 percent of fatal crashes were alcohol-related. At night, 60 percent of crashes were alcohol-related. Speeding: Speeding was a factor in 21 percent of daytime crashes, compared to 37 percent of nighttime crashes. 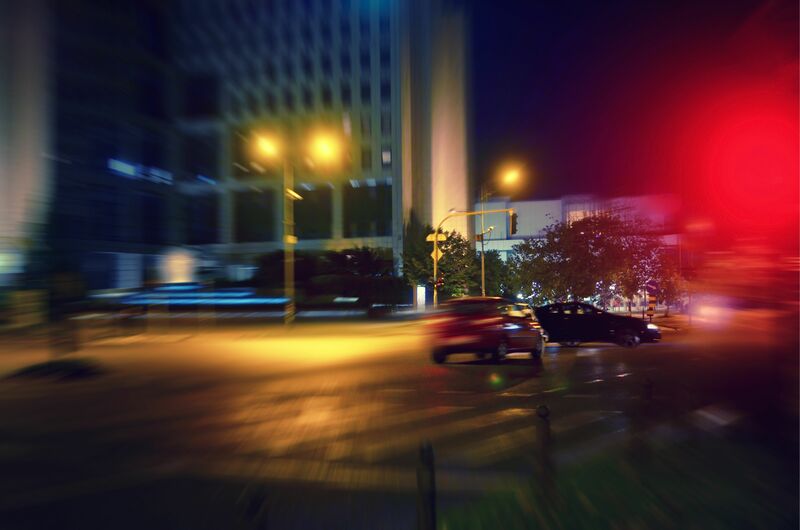 Many auto accidents at night are caused by the negligent or reckless actions of another driver. Our attorneys will gather as much information as we can about your case. We will work with accident reconstruction experts, witness testimony, and police reports to determine who is liable for the accident. In some cases, it can be shown that the responsible party was speeding, distracted, drowsy, or under the influence of alcohol. In other cases, a locality may be responsible for lack of lighting. Auto accidents can result in high costs for property damage, medical bills, and missed work. We will seek compensation for all of your losses, in addition to damages for your pain and suffering. If the negligence or recklessness was particularly egregious, we may seek punitive damages as well. To have one of our attorneys review your auto accident case, contact Foley Law Firm today. We have the skill and experience to provide you with reliable legal guidance.